Enhance The Quality Of Sound From Yourin-Car Entertainment System With The Ts-A2013I Speakerset By Pioneer. 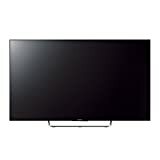 The Sony W756 Series is an evolution of Smart TVs with the new Android platform. The Avaya Definity 6408D phone is a multi-line telephone that meets most small office and business needs.